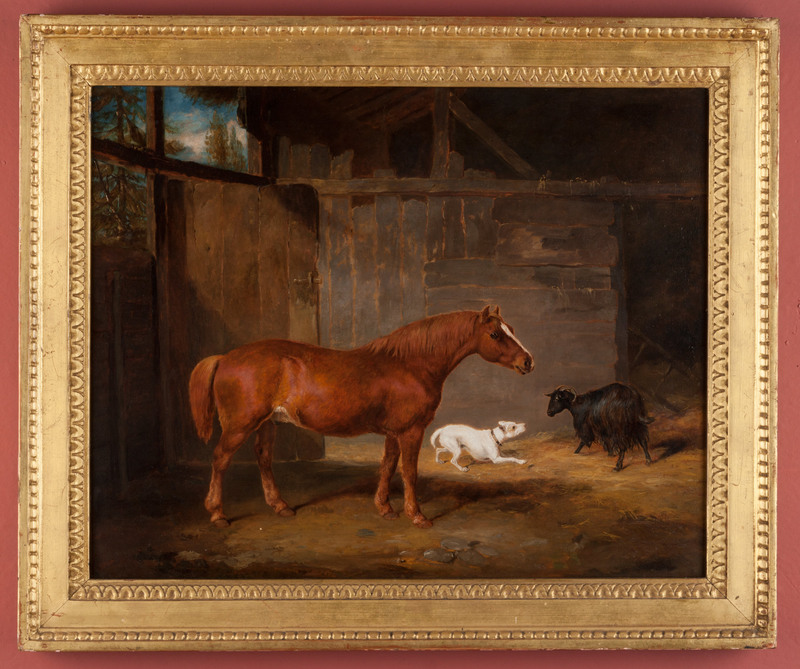 A finely painted stable scene; a goat startled by a Bull Terrier in the presence of a Chestnut Draught horse. Painted in oil on a mahogany panel, in the style of and perhaps by J.F. Herring Senior. Within a gilded frame of the period.